Well folks it was a fun day on the ice today thats for sure,a 3 of us went out and had some laughs,good company and the fish were the bonus the first pic is the morning fish and the second pic is the afternoon fish,we had to leave early this saft cause of the snow.boy 1 eye was a 7lb male that took the lure so far down it was stuck in the beginning of the throat,that ones going for fish stew,the others were 6lbs and under,real nice eaters .the 2 bigger eyes were let go a real nice 11lber and a 10lber sorry no pics my buddy was too far away to take a pic and release them unharmed,they both hit back to back within seconds . the lads coming in the am are gonna have some fun . P.S-the folks that have booked rental huts for the last 4 days are going to have some eyes to take home im sure. take care all and stay safe. Great report and beauty fish. Thursday the last day for you on BOQ, Dunville wraps up this week, I am trying to figure out how I can squeeze one more day in. 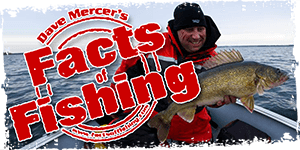 The last day for fishing on the Bay of Quinte is March 1st, you can fish that day until 11:59 pm.